Offering a sunny tree-top one bedroom plus study condominium on the desirable South Slope of Beacon Hill with spectacular views from every window. This fourth floor unit is situated in a small, 5 unit association where Chestnut and Walnut Street meet. Charming traditionally detailed hallway leads to the beautiful, high ceilinged unit. The sunny living room features crown moulding, built-in shelving and a decorative fireplace. The adjacent kitchen features stainless steel appliances and dramatic black painted cabinetry. This is rounded out by a charming bedroom and a study that can be used as a second bedroom. The three front facing windows have a birds eye view down Chestnut Street, all the way to the Prudential Tower and the Citgo Sign, while the three rear facing windows have views of the Golden Dome of the MA State House. Tired of paying rent every month? This is your opportunity to own in the Back Bay for under $400, 000! This wonderful garden-level studio provides ample space for separation between living and sleeping areas. There is also a large closet with extra overhead storage for your convenience. The kitchenette features an oven, full-sized refrigerator, freshly-painted white cabinets and a new back splash. The bathroom has a refinished tub, and space to add storage. 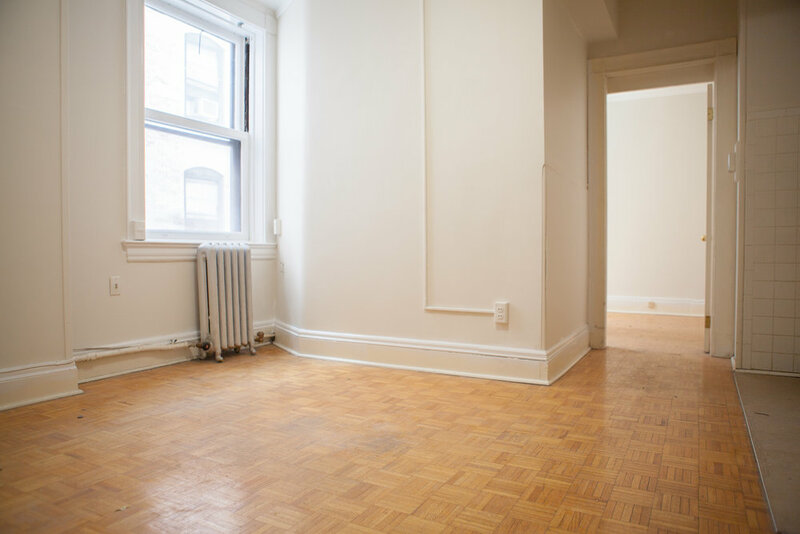 265 Beacon has freshly renovated hallways, and a private entry for this, and the one other, garden-level unit. This unit puts you in the center of it all, only .03mi from Copley Square, .01mi from the Charles River Esplanade and just a quick walk to everything Downtown Boston has to offer. With an absurdly low condominium fee, if you've been waiting for a sign - here it is! Offering a fabulous and super sunny 2 bedroom, 2 bathroom penthouse unit with private outdoor space. Located in the heart of Beacon Hill, this fabulous unit is a an easy walk to Downtown, Charles Street and the Boston Common. Enter into a light flooded stairwell and into an open concept floor plan, encompassing a spacious living room with a bay window and fireplace with adjacent dining area. Spacious all-white kitchen features marble countertops and is open to the living room. Both baths are updated and feature marble vanities. There’s a spacious master bedroom with 4 windows and views with an en-suite bath. Second bedroom features 2 windows with views and charming built-ins. This unit has it’s own private roof deck, in-unit washer and dryer (new!) and a large deeded storage unit in the basement. Don’t miss this chance to not only live in a wonderful condominium, but live in a pristinely maintained building! Welcome to the Bellevue! Enter into the historic marble lobby with full time concierge. The elevators take you up to the 8th floor, where this charming one bedroom one bath condominium awaits. This unit features an open concept living room and kitchen (with new stainless steel appliances being added 5/17 - not pictured) and storage closet. In the rear of the unit is the bedroom which features an entire wall of closets and en-suite bath. Laundry is located on each floor and there is a spectacular common roof deck with views of the Boston Common and Massachusetts State House. This condo is a perfect pied-á-terre or investment property. Offering a rarely available and meticulously crafted studio with sleeping alcove. 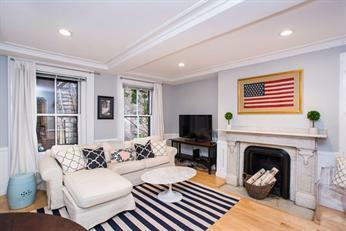 Located on beautiful tree lined Hancock Street, this prime second floor front facing pied-à-terre has been lavished with stunning attention to the smallest details by it's architect owner. This special home boasts high ceilings, traditionally detailed with original crown moldings, original decorative marble fireplace with beautiful five foot antique mirror above the mantel, three east-facing windows affording great morning sun, a fully renovated and tasteful custom bath, wonderful renovated kitchen featuring custom made cabinets, granite countertops, a Miele dishwasher and gas stove. Lots of storage including a large closet. Beautifully maintained building a common patio and common laundry. A true “must see”. This move-in ready two bedroom condo is located in the desirable East Arlington neighborhood, walking distance from Davis Square and Arlington Center. This charming condominium features 20 windows, a spacious, sun soaked living room with adjacent office, a gorgeous formal dining room with built-in hutch, two spacious bedrooms, a renovated bath and recently renovated eat-in kitchen with washer and dryer. This is perfect one floor living, also offering a fully enclosed back porch and an additional 500 sqft. in the basement. Tandem parking for two cars. Beautiful, fully renovated one bedroom in one of the most desirable locations in Beacon Hill: adjacent to Louisburg Square. Bright and sunny year round with Southern and Western exposures, this condo features a contemporary kitchen with: stainless appliances, granite counters and gas cooking. The bathroom is also beautifully renovated with marble finishes .The living room features a brick fireplace and has views of the Charles River. An in-unit Bosch washer and dryer completes this wonderful package. The building has an elevator, professional management and a stunning common roof deck. Rarely available one bedroom condominium on maximally desirable upper Mount Vernon Street, just steps from Louisburg Square and Charles Street with it's restaurants and shops. This comfortable and inviting home features a renovated kitchen with stainless appliances and gas cooking, an updated bath, a spacious bedroom with decorative fireplace and lots of closet space. The living room features sunny south facing windows, a fireplace and classic detailing. Common laundry just outside the unit door. A true "must see". This wonderful one bedroom, one bathroom condo located on Primus Avenue, a lovely and unique private gated community, features a truly optimized layout with upscale finishes. Enter through your small central foyer into a sun-soaked living room with crown molding, hardwood floors and recessed lighting throughout. The kitchen has beautiful granite countertops with stainless steel appliances. The recently renovated bathroom has white subway tile, a linen closet, an oversized bathtub and a vanity that adds to the light and airy feel. The spacious bedroom has a fabulously large custom double closet with additional storage above. Exquisite gut renovation of 1825 historic Beacon Hill property. 3 bedroom 2 1/2 bath parlor and ground duplex with a private landscaped patio. Dramatic and spacious parlor level features a living room with high ceilings, an adjacent chef's kitchen, a gracious entry hall, a 1/2 bath and a multi-use front facing room with a large Palladian window overlooking the Boston Common. The lower level features two bedrooms, 2 full baths including a spacious master suite and abundant storage space. Top quality construction and materials used throughout. 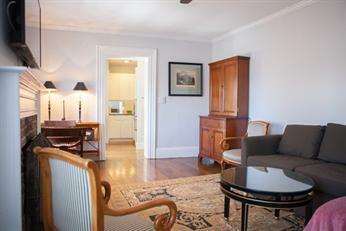 Offering a sunny, renovated 1 bed+ (formally a 2 bedroom) condominium. It's many features include cherry hardwood floors throughout, a wonderful and spacious eat-in kitchen, a beautiful tile bath, exposed brick in the living room, a separate dining room, a common roof deck, laundry in unit and lots of closet space. 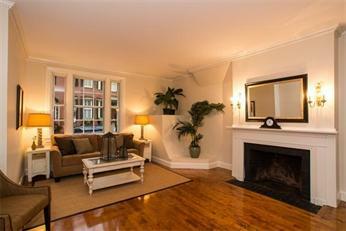 Conveniently located just steps from Charles Street and public transportation. Located on the flat of desirable Mt. Vernon Street and in a well maintained building, this beautiful 2 bedroom, 1 1/2 bath parlor/ground duplex offers many features. The parlor level has a spacious living/dining room, nice white cabinet kitchen with all new stainless appliances, granite counters, a half bath and short hall leading to a private patio. The lower level has 2 well proportioned bedrooms, a large shared bath with double vanity, in-unit laundry and a large walk-in closet in the master bedroom. Central air, a beautiful new common roof deck, a bike storage room and a lockable storage unit in the basement complete this wonderful home.